A dispenser is one of the essential attachments of your fridge. Have you ever faced the trouble of that instance when the ice or water dispenser of your refrigerator is not working? Well, being an electronic part, it is prone to break down and needs a repair to get it functional. At times, it seeks replacement when there is no scope of repair. The summer days are going to be woeful in such worst case scenario. It is, therefore, essential to have it repaired. However, deciphering the causes of fault is a tough task, and the professional experts are the only one who can resolve the issues. 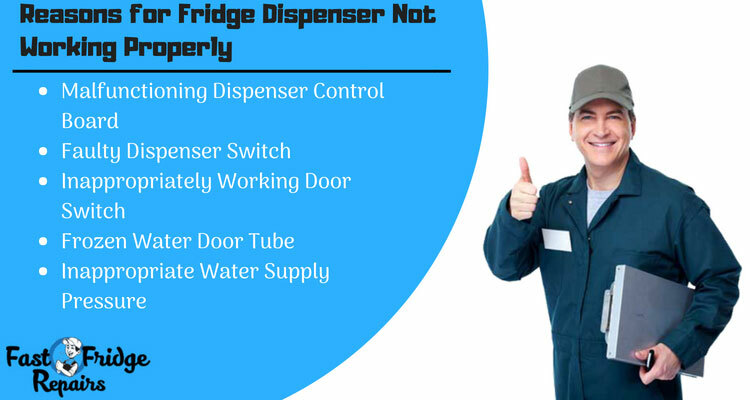 The following are some of the possible reasons why the dispenser of your fridge might not be working and needs an expert treatment. The dispenser control board is the central control unit that manages the operation of the dispenser system. There are rare cases of the failure of the dispenser board. However, your fridge will probably need a replacement of this control unit only when the entire system is not working. The professional technicians make sure to examine the fault before changing the whole system. It is, therefore, required to test each of the parts and its connection to make the final replacement. The dispenser switches are the hub through which voltage dissipates to the dispenser. A fault in any of the switches will leave the dispenser not to work. The professionals who deal with fridge repairs in Parramatta use a multimeter to detect the defect. Each of the switches is put to the test and wherever a break is detected, the part is replaced. The door switch controls the ice and water dispenser each time the door of the refrigerator is opened. The failure of the dispenser switch will never allow the dispenser to function. The experts make sure that they use a multimeter to test if the door switch is functional or not. 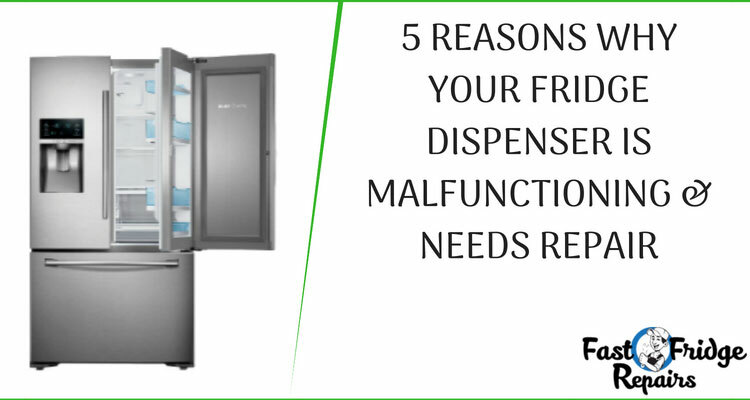 Apart from the technical issues, there can be some unnoticed reasons that can lead to the dispenser not giving water or ice. One of the reasons being the water present in the door tube has reached it’s subzero. The technicians check for this by passing air from one side of the tube and allowing it to pass on to the other side. The freezing of the water inside the pipe is because of the inappropriate cooling setup. Therefore, setting the temperature at the proper limit prevents the formation of ice. For the water to pass through the pipe, it is necessary to maintain the appropriate water pressure. An insufficient water pressure leads the water to remain in the pipeline. Therefore, it is essential to check the pressure for the dispenser to function properly. It is true that consulting a proficient technician would help to sort out the problems associated with the dispenser. The professionals from Fast Fridge Repairs have the have proficiency in Fisher and Paykel fridge repairs. The company make sure that the proper steps are followed to have the repair/replacement done appropriately.